What if you joined a secret society of women hunting the world’s worst criminals? Could you push yourself to do the unthinkable? What if you couldn’t tell anyone about your activities? Could you hide behind all the lies? What if your husband suspected you were having an affair? What if he followed you on your most dangerous assignment, unarmed and unaware? Could you keep him safe? Phalanges “Angie” Carter is a member of a women-controlled secret society designed to hunt down notorious criminals. Blessed with long golden locks and a bikini-model body, Angie’s been at the shallow end of The Institute’s missions. She’s fed up with being the pretty faced flirt used to delay bad guys. She’s had enough of being pushed to the side while other agents get the risky, more important assignments. Finally, Angie’s time of waiting for a challenge has ended. 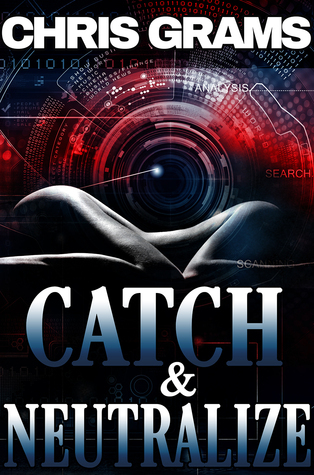 Her new assignment: Catch & Neutralize a group of killers involved in drugs, torture, and everything in-between. Experts at eluding the authorities, these thugs will stop at nothing to take down the beauty getting in their way – if they can find her. This did not go how I thought it was going to go at all. In the beginning, I didn't think I was going to like it because I thought it was going to be all about Mark and his cheating wife. Thankfully the book takes a turn and it's a crazy one. Unfortunately, that made the book seem like multiple books smushed into one book. I loved the parts with the vigilantes fighting the people that have harmed women and children. Some of those scenes were pretty intense, though. Especially, the ones with Tiffany, that girl was kind of scary sometimes. I can see why Mark thought Angie was cheating on him because he had me convinced she was too.